One of the things that can keep a game off the table is set up and tear down time. Eclipse is a pretty bad offender in this regard. 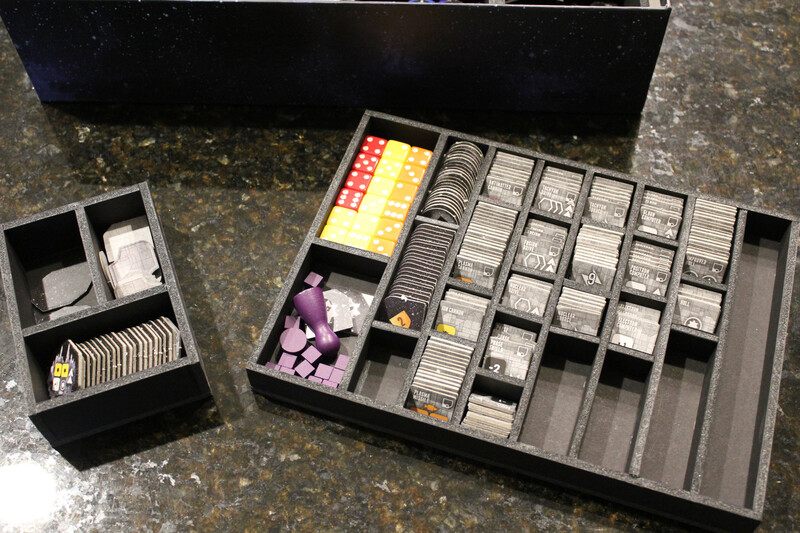 Finding a storage solution for all of the different starship parts and other tiles can be difficult. I had tried a Plano box solution which worked pretty good but since the boxes I used were not custom made for the pieces it left the box lifted and some of the tiles, while organized, were still hard to get out. I was also using 2 Plano boxes which meant a good bit of table space. I have wanted to create an insert for Eclipse for a while, but it has seemed a daunting task. I looked at some solutions that others have come up with and none of them seemed to meet my criteria for an insert (make setup, play, and teardown easier while fitting snuggly in the box). I had a fun idea for a solution to store the sector hexes so I thought I’d start with that. I still really like this piece, but it just didn’t fit practically in the box, wasn’t that sturdy, and it would be a pain to communicate the measurements to someone else. This one ended up on the cutting-room floor, but it did get me working on the insert. The dimensions it gave me for the starship parts tray worked out really well so it was a success even if I didn’t end up using it. This insert prompted me to look into 3D rendering to better plan and visually share my designs. I wanted to give more than just numbers to people. I found a piece of software called SketchUp via BGG user BlackSnow and his Concordia insert. After a few tutorials and some playing around SketchUp works great. It helped me figure out how to make the best use of all the space in the box. It also let me see where I was going before butchering a bunch of foam core.With that said, I am pleased to present more than just numbers. I now will offer a PDF document with images, 3D renders, measurements, and notes all in one place that you can take with you. Look for the link at the bottom of the post.I really like the way this insert turned out. When you are creating many rows of the same width, don’t measure for each row. Instead use two small pieces the exact width of the row you want to create then glue your long piece against them. When cutting many of the same size pieces, make all your measurements at once by using a long ruler. Use a spreadsheet to calculate the distance for all of your measurements all the way up the ruler. I love to see other people get good use out of the plans I create. 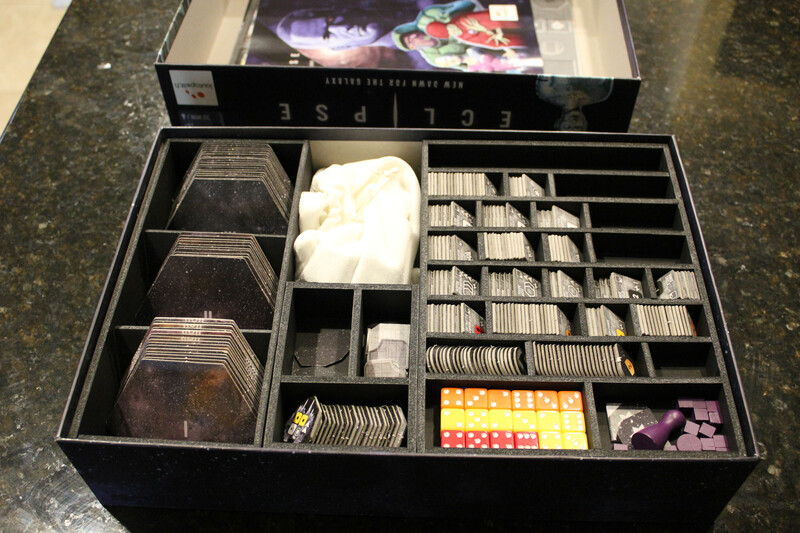 This section is dedicated to you who have created and shared this foam core insert. Thank you! If you have built these plans and shared them, contact us and let us know so we can add your pictures to our gallery. This is for the base game only, right? This fits the base game plus Rise of the Ancients. This S some amazing work!